The Concrete Pipe Lifters make light work of the installation of waste water pipelines. Simply attach to your excavator in seconds, using a quick-hitch coupling. There are no hydraulic links or additional energy requirements. 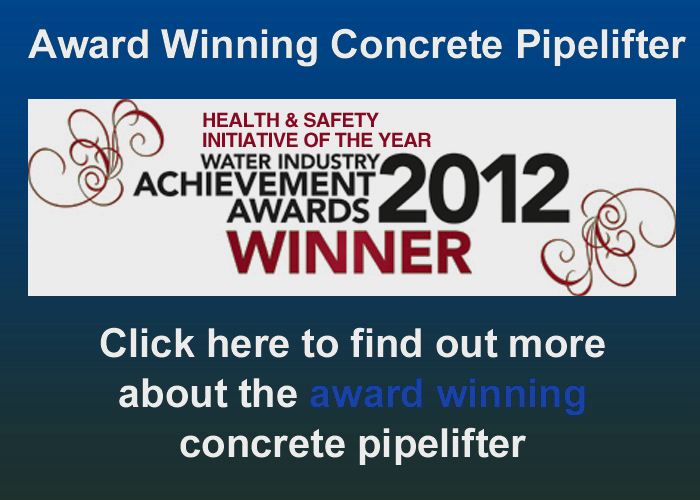 It makes handling and installing pipes safer, faster, easier and cheaper. Safer. No operative needed on vehicle during off loading or in trench during pipe laying. Easier. Simple to use. No special equipment & minimal training required. Faster. Around 50% saving on installation time. To see the videos and find out what people are saying click here.